Cuts gusts down to size! Sled base is 44" x 32"
Slip into this sturdy Shappell® Shelter for a respite from blustery winter wind! 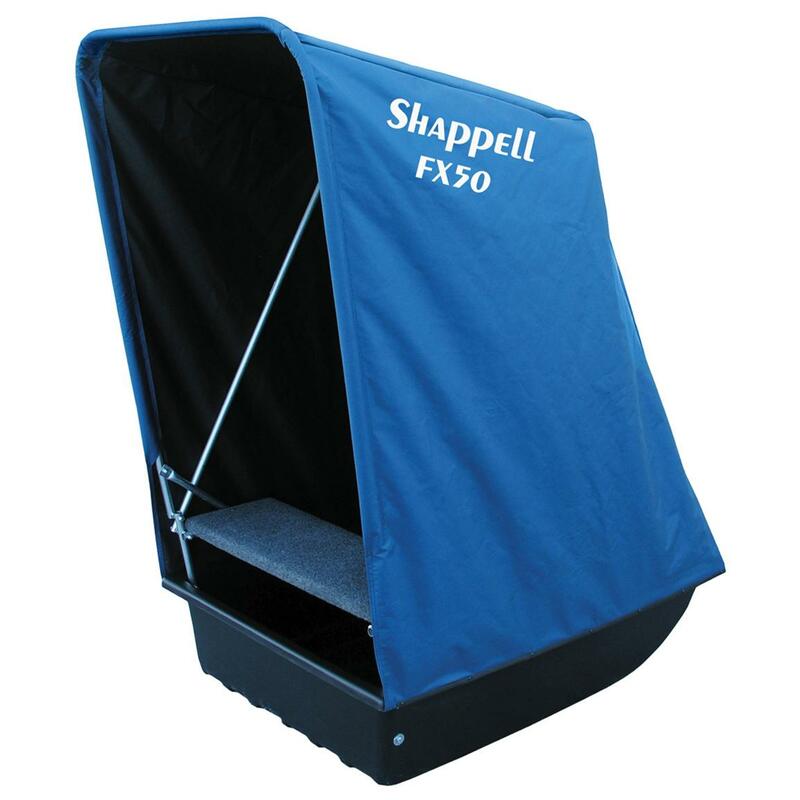 Built on a super-tough sled base for easy transportation on and off the ice, the FX50 Windbreak Shelter sets up in a jiff to ensure comfort as you drop a line. Features a rugged 300-denier nylon fabric shell that both stonewalls wind and is made to last years! Sled base is 44" x 32", full Shelter weighs 27 lbs.